30 Days of Coffee: Day 16 | Eat. Go. Learn. Live. 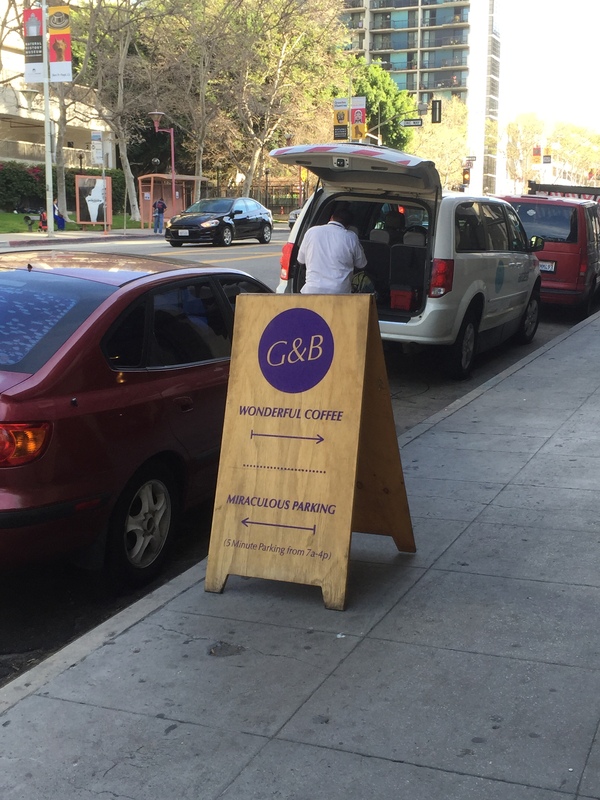 G&B Coffee is a small boutique coffee stand in dtla’s changing Grand Central Market. I love that its walk-up service is an easy access spot along my daily pup walk. Depending on the time of day there can be a pretty crowded space at the counter here, but the baristas are pretty quick and attentive. I only get my coffees to-go here, mostly because I’m with the four-legged child or I don’t have much time on my parking meter. There are seats around the bar if you want to stop for a while though. They select their coffees from the most flavorful and carefully roasted roasters. Their menu contains a few signature drinks like the G&B shake, almond and macadamia capp (with homemade nut milk), and various summer/winter drinks. Getting through all of them would take a while, but definitely worth it! One drink on my must try list is their dark and stormy. It’s just like the cocktail, only sub in espresso for the rum. Doesn’t that sound interesting? !